Help your car drive smoother and your tires last longer. Get your next wheel alignment in Schofield Barracks at Firestone Complete Auto Care and receive expert service at affordable prices. Does your car feel like it's pulling to one side? Is the steering wheel slanted when you're driving in a straight line? Have you started to notice squealing tires or uneven tire wear? Signs like these could mean it's time to visit your local Firestone Complete Auto Care for a wheel alignment. Schofield Barracks streets aren't always in the best condition, but that's just part of driving. We take on whatever the road throws our way, including potholes, curbs, speed bumps, and uneven pavement. Drive easier with regular car alignment checks at your one-stop alignment place in Schofield Barracks, Firestone Complete Auto Care. When your car or truck is properly aligned, you'll achieve optimal drivability. It's smooth cruisin'! There's a reason America trusts Firestone Complete Auto Care with 9,000 wheel alignments each day. 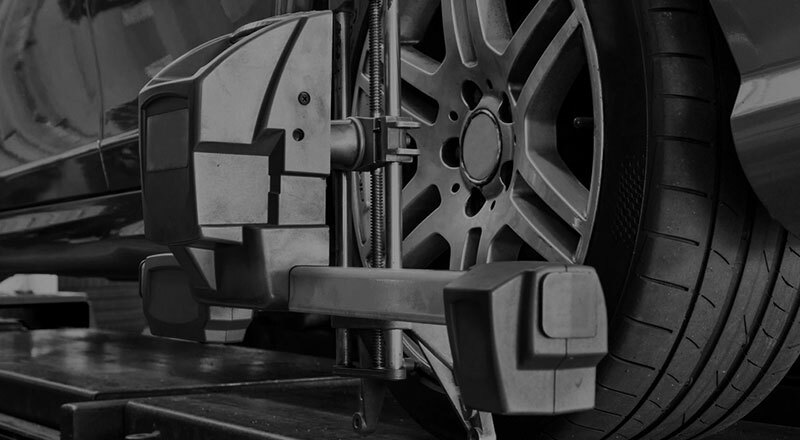 Whether you need a front alignment or rear Schofield Barracks, our qualified technicians will help get your toe angles, camber, and caster properly adjusted so that your vehicle drives even and straight. Invest in the long-term health of your car with a lifetime alignment, with a warranty you can rely on for as long as you own your vehicle, or go with our standard alignment. Either way, your car or truck will be serviced right the first time. And that’s a guarantee, backed by our Triple Promise – a promise that every job will be Fixed Right, Priced Right and Done Right on Time. If you haven't had your alignment checked in over 6,000 miles or 6 months, it could be a good time to make an appointment online for a car alignment in Schofield Barracks. With our various limited warranties and Firestone alignment coupons, your alignment cost won't put a dent in your budget. So start your engine and head this way! Conveniently schedule an alignment appointment online and visit Firestone Complete Auto Care today! From drivetrain services to steering and suspension to tire repair, trust your nearest Firestone Complete Auto Care for your automotive service needs. We're an automotive shop, tire store, and car care center wrapped into one. Our highly qualified technicians work hard to help ensure that your vehicle runs the way it should. Regardless of the maintenance your car or truck needs, we will strive to make your visit satisfying. Explore our services and at your convenience, schedule your next courtesy check or repair in Schofield Barracks, Hawaii today.